In sleek sterling silver this band ring from fashion label Gucci is engraved with the iconic Gucci Ghost logo. 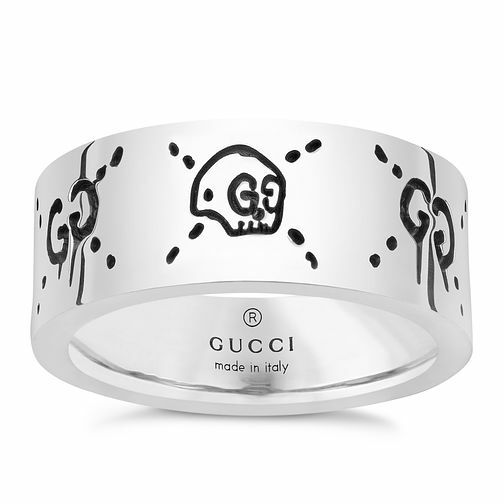 Gucci Ghost Sterling Silver 9mm Ring is rated 5.0 out of 5 by 1. Rated 5 out of 5 by Anonymous from Beautiful details I bought this ring as a birthday gift for my daoghter and she loved it. Unusual design with a cute skull. Gorgeous!